Welcome to the UK's number one solo reggae tribute show. If it's reggae you are looking for then you have just stumbled across a reggae gold mine. The Reggae Legends Show has been running since 2005 and has travelled across the UK and Europe with it's popularity & reputation continuing to grow with every performance. Shaun.e.b has put this show together as a tribute to some of the greatest reggae artistes and bands that ever lived . The Show consists of songs by Reggae artistes such as : UB40, Dandy Livingstone, Eddie Grant, Ken Boothe, John Holt, Aswad, Bob Marley, 10cc, Maxi Priest, Johnny Nash and many more. Much time and expense has gone in to selecting the audio equipment used in the show to ensure the best sound possible is created for any size venue from a small pub to a large sized marquee or function room. 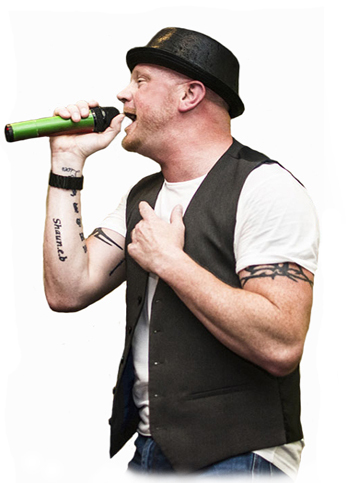 Shaun.e.b has over twenty years experience as a singer and entertainer and has performed in various other countries such as Belgium, Holland, Greece and Turkey over the years.